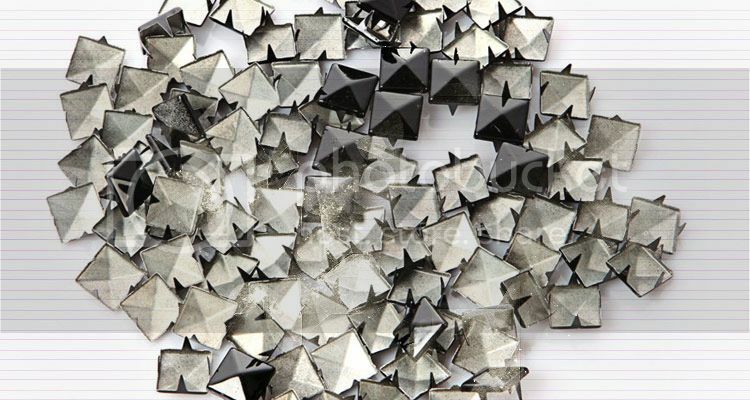 So the studs I ordered are silver and black pyramid studs, triangular studs, round studs, small cone (screw) studs and large spike studs. I’m so excited to get them and I can hardly wait, because I have so many DIY projects planned for the studs and if it turns out like I want it too, then it’s gonna be epic (in my opinion)! Where did you order from? I try to find cheap deals, but I paid a lot for my last shipment. Bought mine on eBay, I can try and find the sellers if you want?